Average Spanish house prices rose 1.5 per cent over twelve months to the end of March, according to the Official House Price Index (OHPI) published by the National Institute of Statistics (INE). New build prices rose by 4 per cent, and resales by 1.1 per cent, resulting in a general increase of 1.5 per cent. The OHPI published by the INE, based on data from the Property Register, has now been in positive territory for four consecutive quarters, though without showing any sign of gaining much momentum on the upside. 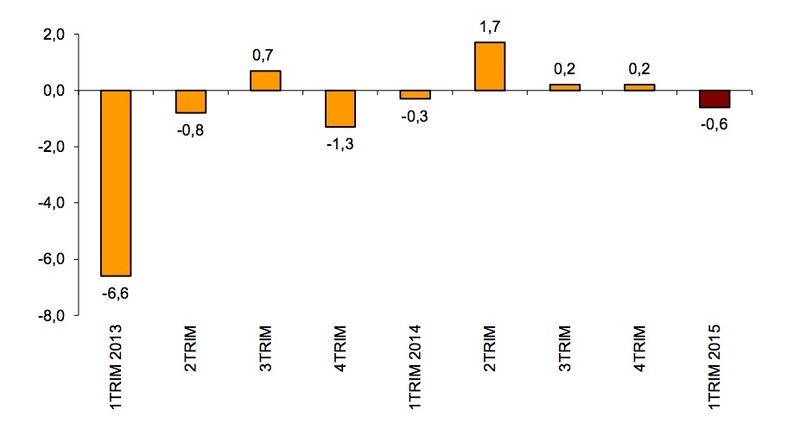 On a quarterly basis, prices fell 0.6 per cent over three months in Q1, as illustrated by the next chart. General index quarterly price changes. 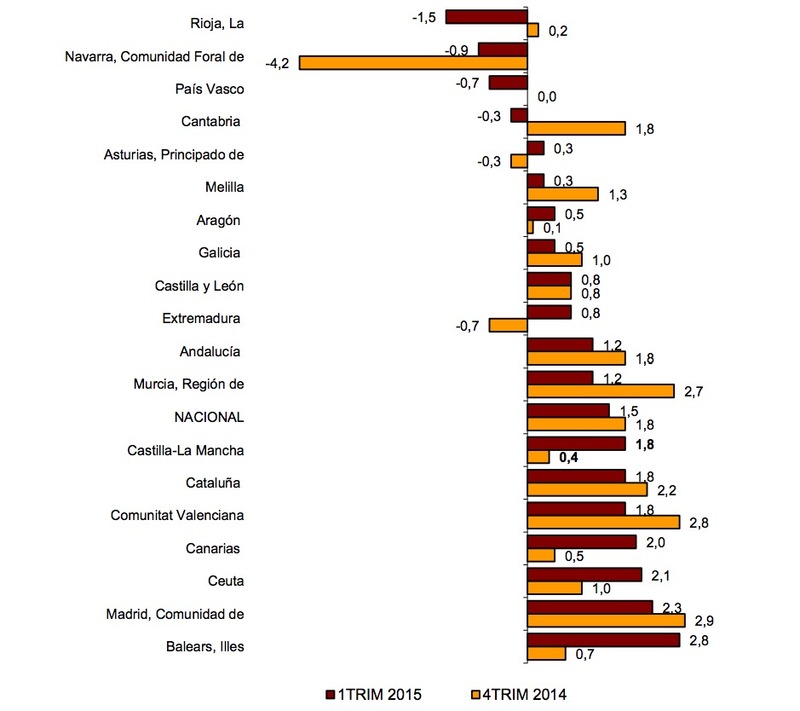 House prices fell in nine regions in Q1, the most in Cantabria (-2.1 per cent) and La Rioja (-1.7 per cent). 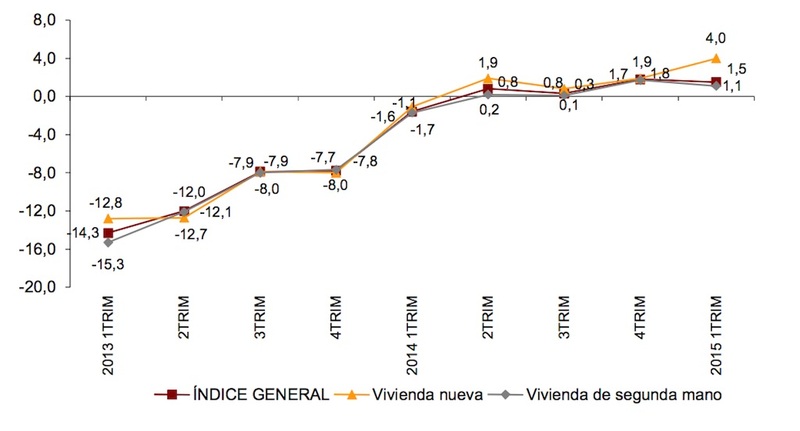 At the other end of the scale prices rose the most in Navarre (+3.3 per cent) and the Balearics (2.8 per cent). How can average house prices be rising when there is still an infamous glut of homes weighing down on the market, unemployment remains above 20 per cent, home sales are still depressed by normal standards, and mortgage lending is still restricted? At a time like this, when supply exceeds weak demand, you expect prices to fall, not rise. However, much of the Spanish housing glut is in the wrong place, or is the wrong sort of housing, and therefore has no demand at this time. It is effectively out of the market, and therefore has no impact on transaction prices. Because the OHPI is based on transactions, it doesn’t tell us much about the value of the excess inventory that isn’t selling. So, what is the value of that inventory? I suspect a lot of it has a negative present value, at least equivalent to the cost of demolition plus all relevant licences and taxes. Furthermore, the story of rising transaction prices told by the OHPI is at odds with other official sources of house price information, such as the index published by General Council of Notaries, which recorded a slump in property prices of 7.5 per cent in March, and another fall of 3.9 per cent in April. It is difficult to reconcile these figures with the OHPI. In any case, though the OHPI might be interesting as an economic indicator, it is not much use to anyone thinking of buying or selling a home in Spain. What matters to home buyers and sellers? Price changes in their particular market segment, based on highly localised factors of supply and demand. 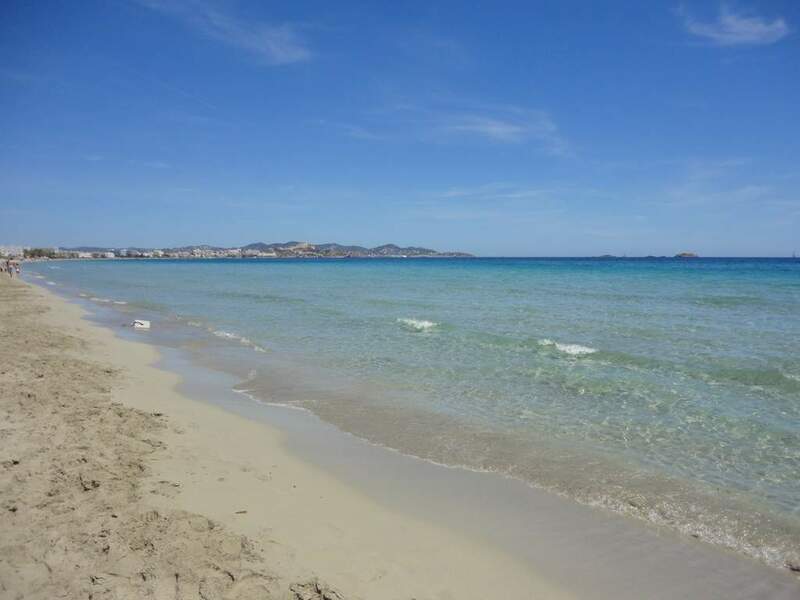 On that front it now looks like house prices in prime city centre or coastal areas (like Ibiza, pictured below) are stable or even rising slightly, whilst prices continue to fall everywhere else. Ibiza, where asking prices are back almost to where they were in the boom, and sales prices are rising.